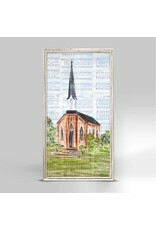 Dorothy Art delivers a beautiful piece featuring a church layered atop vintage pages of music notes. Good things come in small packages! And in this case it's our new mini framed canvas art. Get creative by bringing a series of small things together. These mini masterpieces come ready to set on a shelf or hang on a wall. 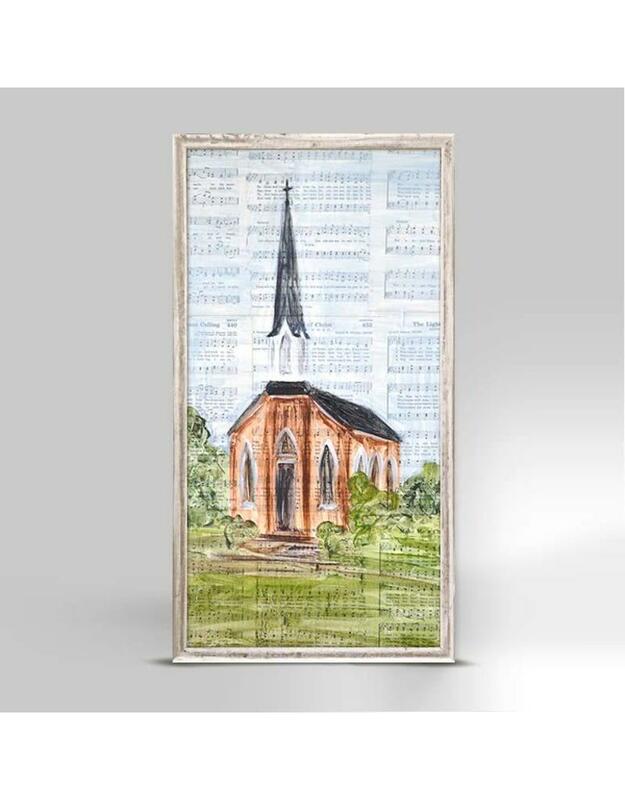 Our frames are approximately 1.25" in depth and come with a lightly distressed rustic finish that creates a beautiful texture. Our canvas art is reproduced in our San Diego studios using the best digital reproduction method currently available, resulting in great clarity and color saturation. Canvases are exceptionally durable and can be cleaned with a soft, dry or slightly damp cloth.